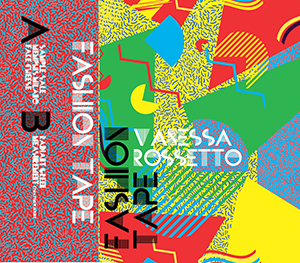 Brainwashed - Vanessa Rossetto, "Fashion Tape"
The artwork and title of this new tape captures the vibe that Vanessa Rossetto conjures up early on rather well: a sort of 1980s damaged mélange of consumerism and high art that is as visceral and to the point as it is conceptually high-minded. What follows is a complex mix of electronic composition, treated field recordings, and who knows what else, making for a wonderfully nuanced, extremely compelling cassette of equally beautiful and abrasive sounds. The title and artwork are most closely tied to the opening piece, the 11+ minute "Sample Sale." An array of stuttering musical loops full of schmaltzy electronics best resembles an ancient tape of mall musak in its final state of decay, as what could be fragments of shoppers conversing are peppered throughout. Within all of this Rossetto tastefully places layers of static and additional field recordings with various levels of processing. Disorienting loops eventually relent to a unrecognizable bed of noise, before finally concluding on passages of found sound and a far off television droning away. The other lengthy work that concludes Fashion Tape, "Measurement" (with Matthew Revert) has all of the complexity of "Sample Sale," but structurally is more focused, and less collage-like overall. Rossetto delivers spoken word mostly of the piece’s title, as Revert adds in strange passages of repeated and recited numbers via a disconnected, monotone voice. Behind this there are lush cello-like passages that underscore the piece, adding a bit of melancholic beauty to the otherwise clinical spoken parts. 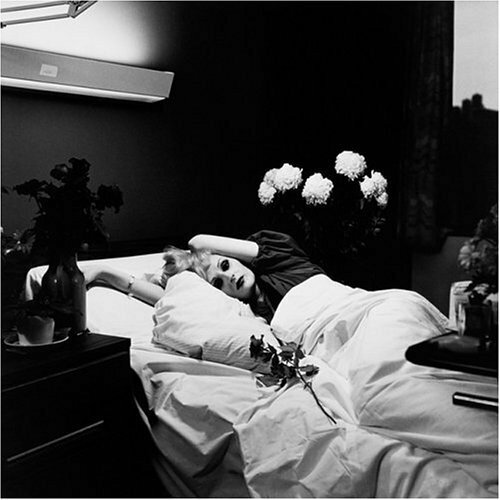 However, she chooses to throw in some power tool recordings to blow up the composition’s more melodic tendencies; a drastic misdirection that I found quite enjoyable. The shorter pieces between these two larger bookending works also do an exemplary job at capturing the varieties of sound Rossetto has been working with since her earliest releases. "Memphis Milano" is a basic, but well crafted short piece of buzzing nasal electronics. Structurally it is not overly complex, but she does a great job at keeping it varied via ever changing volume shifts and dynamics. "Fake Cheese" features more use of field recordings, multilayered and with treated pitches done just enough to make the sounds feel unsettling and unnatural. By the end she pushes the piece into dark ambient territory and with the addition of sinister whispers and overdriven digital noise, it builds into a bleak conclusion. "Radiant Green" stands out via frequent use of some southern sounding gentleman discussing how he is seeing colors, as Rossetto weaves in layers of strange processing and random sounds. The final moments build to an amazingly aggressive volume shift that is reminiscent of (and likely as dangerous to speakers as) Whitehouse's "Torture Chamber." Rosetto's exceptional ability at reworking field recordings and utilizing unspecific, but fascinating electronics run through this entire tape. There is a joyous disregard for genre boundaries and styles here as well, as within the same piece I felt the use of intentionally abrasive, chaotic passages as well as precisely focused works that are as compositionally tight as any formally trained academic is likely to produce. It is a weird, but unquestionably wonderful journey from beginning to end.